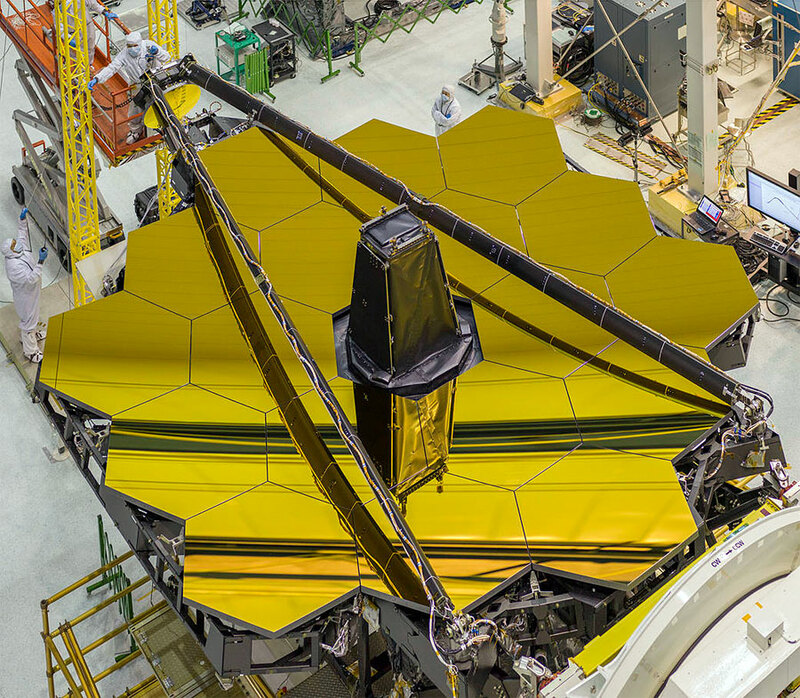 The telescope's mirrors are covered in a microscopically thin layer of gold, which optimizes them for reflecting infrared light, which is the primary wavelength of light this telescope will observe. To ensure the mirror is both strong and light, the team made the mirrors out of beryllium. Each mirror segment is about the size of a coffee table and weighs approximately 20 kilograms (46 pounds). A very fine film of vaporized gold coats each segment to improve the mirror's reflection of infrared light.